This tulle sash is 1 ½” wide. 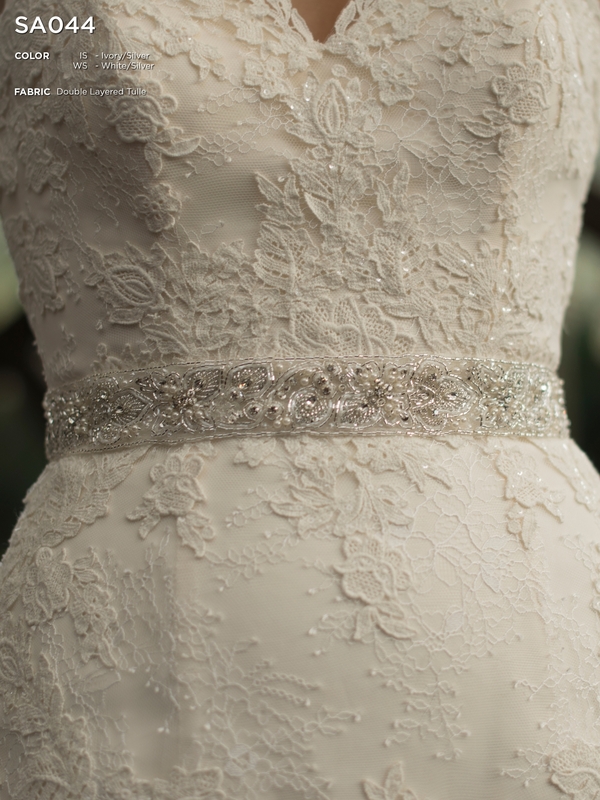 It is a heavily beaded belt that features a silver beaded border and an intricate leaf pattern. Available in Ivory or White. Fabric: Heavily beaded 1 1/2" belt with silver beaded border and leaf pattern.